Mrs. Myrtle Kathleen “Kathy” Sisk was 81 when she passed peacefully in her home from ovarian cancer. She was very active and still managing her household independently until the day she was diagnosed days prior to her passing. She was the wife of Rev. Jerry Wayne Sisk, 85, for 62 years. Born on September 12, 1937 in Shelbyville, Tennessee, she was the daughter of Ernest Roy Spellings and Lily Pearl Nicholson. Kathy and Jerry were united in marriage in 1956 in Providence, Kentucky by Rev. Benjamin Connway. They had three daughters together and moved to Macclenny, Florida in the late 1960s. Kathy was a teacher at Westside Elementary for 26 years. She was well loved by all of her students and fellow staff. While teaching full time, she worked diligently to earn her Master’s Degree at the University of North Florida and raising three daughters. She was a faithful member of First Baptist Church of Macclenny for 50 years. Kathy very much enjoyed working in the nursery and volunteering in the church office every week for many years. Her favorite past times were spending time with family, baking, and reading. She was very passionate to teach her grandchildren and great grandchildren so they could be “as smart as her”. Kathy will be remembered for her vibrant, fun-loving, crazy at times personality. Kathy will be forever cherished in the lives of her husband, and many descendants. 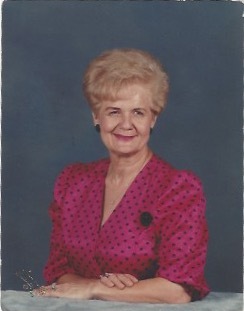 She is survived by her loving and faithful husband, Jerry Sisk: sisters, Corinne Fortuna and Jeanette Neely: children, Sherry Kay May, Kim Darlene (Dolpus) Barton and Lisa Michelle Spoon: grandchildren, John (Ashley) May, Kimberly (John) Roach, Cody May, Samantha (Clayton) Daugherty, Courtney May, Richard (Holly) Barton, Kevin (LaDonna) Barton, Amanda (Bryan) Fort, Hanna (George) Seay, Brandon Johnsen, Crystal (Michael) Buchanan, Randy (Victoria) Spoon, and Shannon Spoon. Thirty-one great grandchildren also survive. She was preceded in death by her parents and sister, Bobbie Zamatta.